Pokémon Snap Updated For Virtual Console! Huh, can’t say I expected something like this (though I did kinda hope). 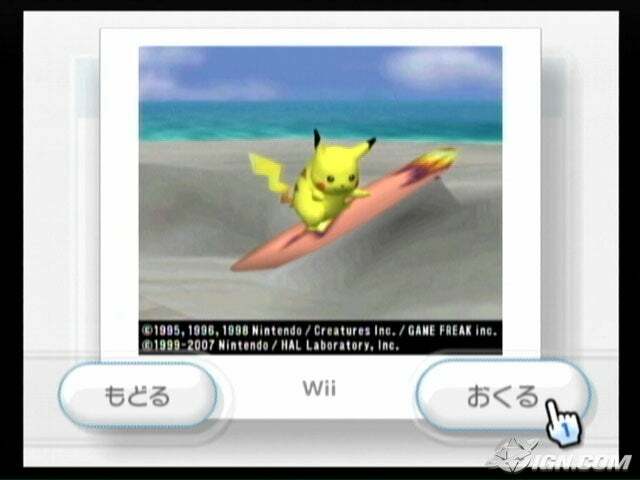 According to IGN, the Japanese Virtual Console release of Pokémon Snap (a wonderful and underrated N64 game where you try to take the best possible photographs of Pokémon in the wild) will be updated to include the ability to send your photos to friends via the Wii Message Board! I absolutely loved this game back in the day, and would buy it up immediately, if the game ends up over here as well. I’m assuming it won’t offer some kind of magic Wii Remote pointer integration as well, but the analog stick worked just fine for its purpose. Even if you didn’t care for the original game, this is pretty exciting news! A Virtual Console game is getting a Wii overhaul! Dare I dream for eventual online multiplayer updates? I probably shouldn’t dare, but I do anyway. Just a little.